EXECUTIVE SUMMARY: Seventy years ago, while the Arab-Israeli Lausanne peace talks were deadlocked, a pioneering and creative diplomatic initiative was aired to deal with the fate of Gaza and its Palestinian Arab refugees. This US initiative was a serious effort to bring about a settlement between Egypt and Israel while contributing to a solution to the Palestinian refugee problem. Though it ended in failure, it provided valuable lessons. It is widely expected that one of the main issues to be addressed in Donald Trump’s impending “Deal of the Century” is the split between the PA in the West Bank and Hamas in the Gaza Strip. 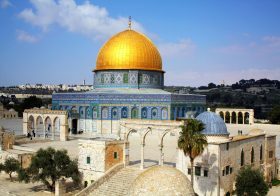 During the crafting of the Oslo Accords, too, attempts were made to find a way to implement the prospective Palestinian state with a terrestrial physical link enabling passage from Gaza to the West Bank. 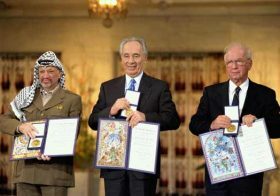 Israeli FM Shimon Peres was a principal contributor to those efforts. That idea is not, however, endorsed by Hamas, which has set its sights on a good deal more. The violent and provocative weekly riots along the Israeli border with the Strip, organized by Hamas, are being carried out under the slogan “March of Return,” the standard Palestinian euphemism for Israel’s demographic subversion. Though categorized as a terrorist organization, the group is winning this PR campaign against Israel. International sympathy for Hamas is growing in correspondence with the rise in the number of casualties at the border. Hamas recently escalated its belligerency against Israel through systematic, well-planned terror offensives using scores of incendiary balloons, increasing the risk of another round of hostilities. Egypt is acting as an indirect mediator between Israel and Hamas to avoid another descent into full-blown conflict. In view of these circumstances, it is useful to consider a pioneering diplomatic initiative regarding the fate of Gaza and its refugees that was aired 70 years ago, during the spring 1949 Arab-Israeli UN-sponsored peace talks in Lausanne. The initiative provided lessons that are relevant today. The fundamental idea was a proposal to incorporate the Gaza Strip and its Arab population into Israel. This was the vision of David Ben-Gurion, who saw Gaza as ultimately becoming an autonomous state like Luxembourg. The logic behind this initiative was based on two factors: 1) Egypt didn’t want to annex Gaza, which it had occupied during the 1948 war, as it had no desire to absorb its Palestinian Arab refugees as fully fledged Egyptian citizens; and 2) Israel was concerned about a potential military threat deriving from Egypt’s continued occupation of the Strip, in close proximity to Israeli populated areas. 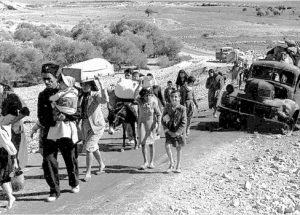 Starting from the signing of the armistice agreement in February 1949, Egypt had two “distinct” Palestinian populations under its control: the small population that had managed to remain in Egypt proper, and the population of the Egyptian-administered Gaza Strip, massively expanded by an influx of more than 200,000 refugees from elsewhere in Palestine. The premise of separateness was to have considerable influence on Egyptian policy toward both communities. There had been no question of granting Egyptian citizenship to Palestinians, so there was never any question of Egypt’s annexing the Gaza Strip, as Jordan had done with the West Bank. The Gaza Initiative was discussed in an academic article by Jacob Tovy (2003) and later by Shlomo Nakdimon in Haaretz (July 2014), but the topic has never drawn much attention in Israel, in the Arab world, or among the Palestinians. 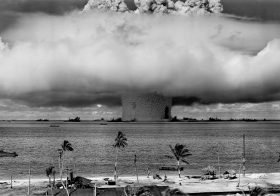 The most comprehensive survey of the initiative was done by Neil Caplan in his series of books, Futile Diplomacy (1997). Caplan considered the plan from the American, Israeli, and Egyptian perspectives. He had access to scores of official protocols and diplomatic cables and his approach was objective and balanced. On June 4, the State Department informed the US delegation at Lausanne that the American government would approve the incorporation of Gaza into Israel as part of a final territorial settlement with Egypt, provided this could be achieved by negotiation with and the full consent of the Egyptian government and provided territorial compensation was made to Egypt according to the President’s formula (the “Jessup principle”) if Egypt desired it. The key US idea was to link the negotiations on the fate of the refugees to territorial questions. While the Israelis placed their emphasis on territorial issues, the Arab delegation in Lausanne gave priority to the refugee problem. The Gaza Initiative was a concrete attempt to find a combined solution. The American Charge’ d’Affaires in Cairo, Jefferson Patterson, thought that “Egypt might be willing to cede Gaza,” along with its “refugee burden,” in the course of future bargaining. The open question was the compensation parameter – i.e., the quid pro quo. Though the Israeli and American understanding was a swap formula – the Strip for some part of the Negev – it was made clear that the Egyptians strongly opposed the plan. A US attempt to join forces with Britain in order to put pressure on Egypt failed. 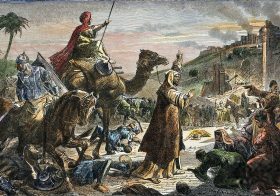 Cairo insisted upon receiving as compensation a great deal of territory, establishing a line from Gaza through Beersheba to the Dead Sea. This would have entailed Israel’s ceding the entire Negev – in other words, over half its overall territory, including the city of Eilat. The Americans believed that Egypt’s firm rejection of the Gaza proposal, as expressed by FM Ahmed Muhammad Khashaba, was in fact a bargaining tactic. 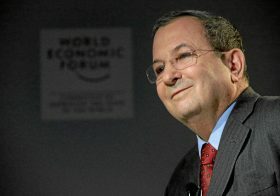 This was because Khashaba stated that Egypt “would not refuse to give serious consideration to any plan designed as [a] humanitarian measure and susceptible of bringing stability to an area or situation.” Egypt, which feared that the Gaza refugees would be shunted by Israel into the Negev desert, expressed concern over their safety and welfare. In order to persuade the Egyptians to cooperate, Acheson pointed to the uncertain future of refugee relief funding, most of which was coming from US charitable organizations. The idea was to hint that the economic burden of handling the refugees’ welfare in the Gaza Strip would be entirely Egypt’s problem, notwithstanding its own overpopulation and poverty. 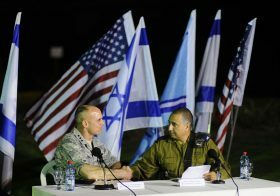 Once the Americans took on the role of mediator and became enthusiastic about the Gaza Initiative, the Israelis became more cautious and hesitant as a diplomatic tactic. Abba Eban, the Israeli ambassador to the UN, stressed the need to avoid showing “any sign of eagerness for Gaza.” He felt that Israel should agree to consider “territorial adjustment” on the Sinai-Israel border – provided that it did not include Eilat, which was not to be surrendered under any circumstances. The profound Israeli-American difference of opinion on the need for territorial compensation to Egypt, with an emphasis on the Aqaba area, in order to create a land-bridge between Egypt and Jordan signaled the fading away of the Gaza Initiative. The State Department had stated clearly from the start that territorial compensation for Egypt, and perhaps also for Jordan, would be required. Israel made known its absolute opposition to any such territorial compensation. Late in 1949, the Gaza Initiative was essentially abandoned by the US and the regional actors. It remains, however, the first and only attempt to seriously deal with the problem of Palestinian Arab refugees. The Israeli readiness to “resettle” more than 100,000 refugees as part of a bilateral deal with Egypt was never repeated. The Israeli official standpoint on the refugee problem remains firm: the refugees are to be denied the right to return to the sovereign territory of Israel. One wonders what the demographic equation in Israel would be today had the state absorbed over 150,000 Palestinian Arabs into its tiny sovereign territory in 1949. On the other hand, had the Gaza Initiative been successful, subsequent Israeli-Egyptian rounds of war could have been avoided. Dr. Raphael G. Bouchnik-Chen is a retired colonel who served as a senior analyst in IDF Military Intelligence. (Ph.D. Jinan University, China). Specializes in Middle Eastern and international affairs. Served for 26 years in IDF military intelligence in several senior assignments, including Head of the Review Department. Served for 3 years in the Prime Minister’s office and Ministry of Defense, and fulfilled a diplomatic mission in the Far East.